Develop your students’ understanding of change and continuity across time. Our resources include worksheets, card sorts, role-plays and games. 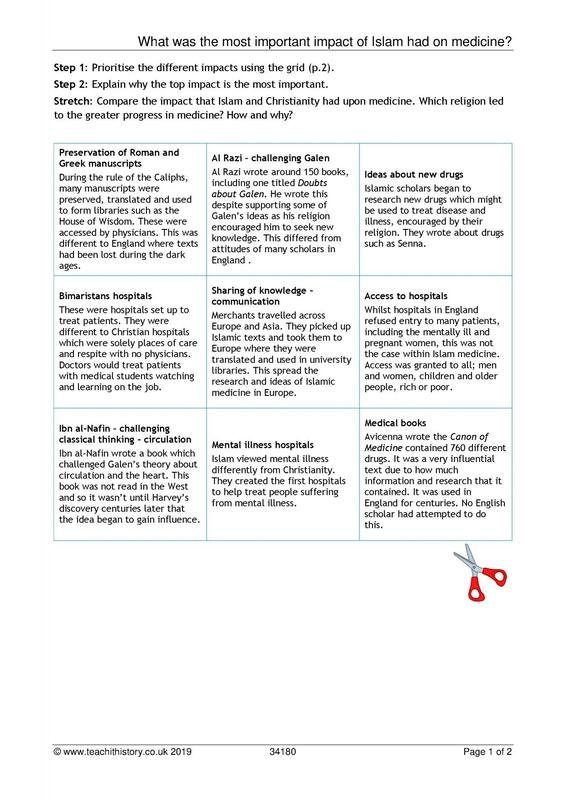 All are designed to help your students understand the key events, people and factors which influence change and allow comparisons to be made across different periods. Select a thematic topic from the list. 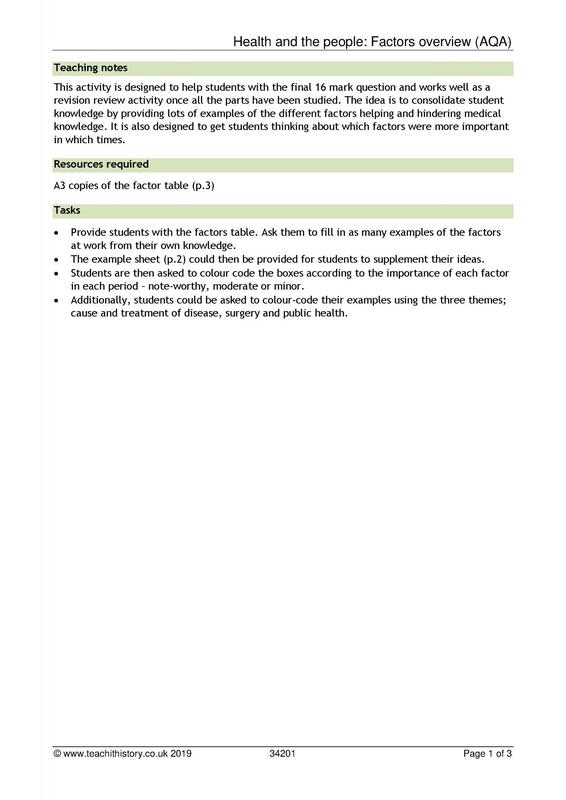 Medicine & health (71) New resource! Have a look at some of our hand-picked resources for KS4 Thematic studies. 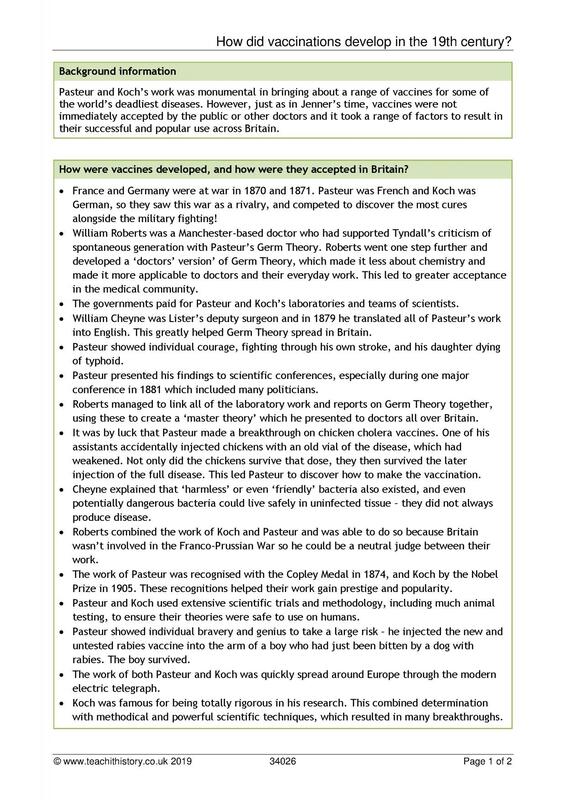 How did vaccinations develop in the 19th century? 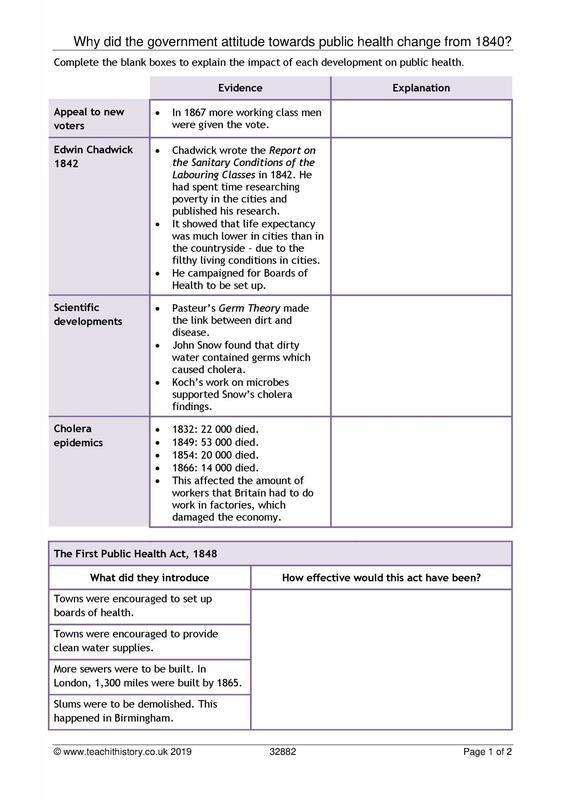 Why did the government attitude towards public health change from 1840? 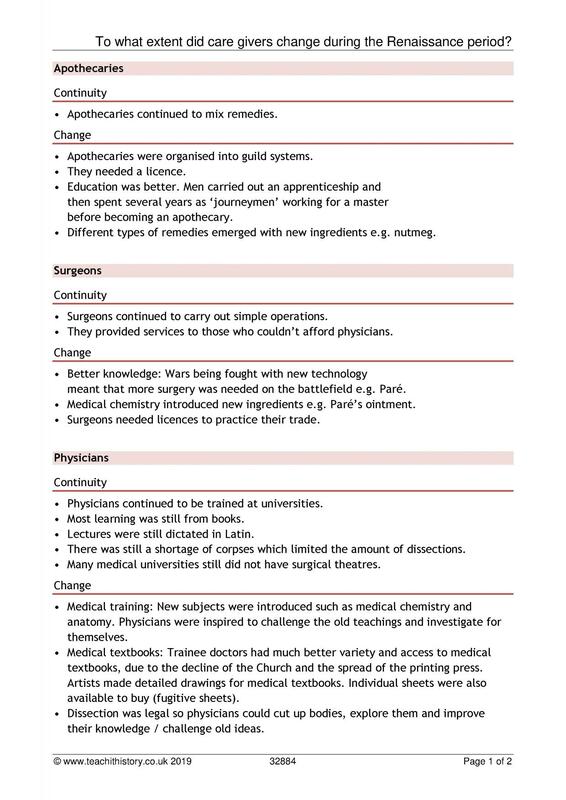 What was the most important impact that Islam had upon medicine? 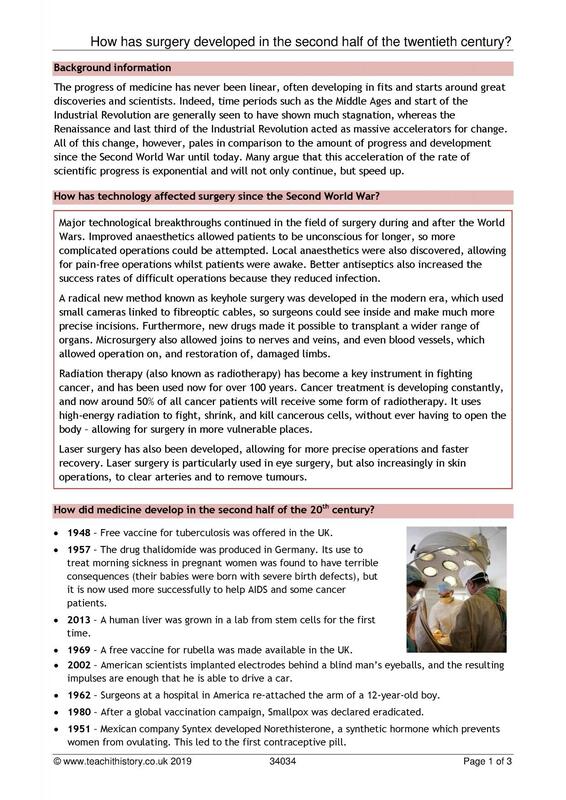 How has surgery developed in the second half of the twentieth century?